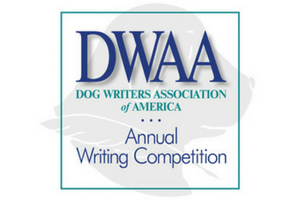 Today the Dog Writers Association of America (DWAA) announced the winners of its 2017 Writing Competition, which recognizes outstanding work about dogs. Winners can accept their awards at an awards banquet to take place the evening of Saturday, February 10, 2018 at the Hotel New Yorker in Manhattan. Sponsored by The AKC Reunite Program for the best article on how microchips can be used in pet recovery. Articles can include recovery stories of how dogs were identified or returned to owners, permanent identification in cases of theft, uses of microchips to confirm identity of dogs in competition, etc. The award is a $1,500 cash grant. For information about actual recovery stories, writers can contact AKC Reunite at 1-800-252-7894. Lauren Darr – Where’s Bella? Sponsored by the American Kennel Club, this award is for the best writing about the AKC Canine Good Citizen Program or the puppy level of CGC, AKC S.T.A.R. Puppy. Recognized as the “gold standard” for family dog manners, CGC and AKC S.T.A.R. Puppy focus on teaching good manners to dogs and responsible dog ownership to dog owners. This award is a $500 cash award. Sponsored by Ceva Animal Health, this award is for the best article that educates the public about the heartworm awareness and prevention tips. The winner will receive a $1,500 grant. Sponsored by American Legion Post #348, Brick Township, N.J. and Lisa Begin-Kruysman. For a submission in any form of media that educates the public about the important role our military dogs play in our Armed Forces, including issues affecting their emotional and physical care during their training, active service and retirement. The award consists of a $350 cash grant. Sponsored by The Westminster Kennel Club in memory of legendary dog show reporter Walter Fletcher, this annual award goes to the reporter who best exemplifies continued press coverage of dog shows in America. The writer must have written a bylined article in a print or online general interest publication about a dog show (or shows). The winner will be honored with a reserved seat in the Walter Fletcher Memorial Chair for both nights of the 2018 Westminster Kennel Club Dog Show. The chair is located at the end of the front row, in the working press section, on the arena floor of Madison Square Garden. Sponsored by GNFP Digital, this award is for the best online article that highlights the human-canine bond in action. The winner will receive a $500 grant. Sponsored by the International Association of Pet Fashion Professionals, this award is for a submission in any form of media that demonstrates the enhanced bonds and connections between humans and their dog(s) through pet fashion. This award consists of a $350 cash grant. Sponsored by Babette Haggerty of Haggerty Dog Training in memory of her father, Captain Arthur Haggerty, this award is for the best book or article on training. The winner will receive a $200 cash grant. Sponsored by Morris Animal Foundation, a nonprofit that invests in science to advance animal health, this award is for the best science-based article or book about canine health issues or research. The winner will receive a $300 cash grant. *NOTE: The title is tongue in cheek. Sponsored by Dogwise Publishing. $500 to the author of the best book. The winner will be chosen by the president of DWAA from the winners of all the book categories. The award is a $500 cash grant. 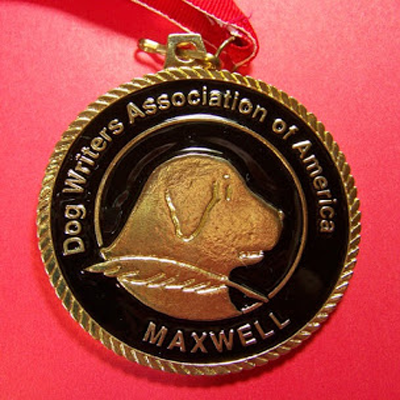 A full list of winners, including recipients of the coveted Maxwell Medallion, is online at dogwriters.org.